A week late but otherwise keeping to plan, I've had time to sit down and dedicate my reading to second-to-last batch of titles in the Great Self-Published Fantasy Blog-off. Once again, I committed to reading the first 50 pages (at a minimum) of each title, with the hope that one or more books in the batch would be strong enough to keep me reading right through the end. Once again, there were 2 titles that kept me engaged to the end. This was a solid, thoroughly enjoyable read with a lot of potential for future volumes. It had an epic fantasy sense of scope, some significant hints at greater world-building, and some very nice character development. 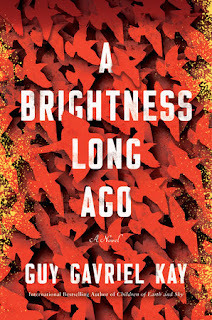 I was a bit concerned at first that this would prove to be another coming-of-age tale, but it progresses at a good pace, skips over the scenes of tedium and boredom that are often substituted for 'character building, and focuses on the significant moments of Konal's life. The copyright page indicates this was initially published in 1997, and it shows - mostly in a good way. It has a classic 80s/90s fantasy feel to it, not quite cheesy, but certainly enamored of the genre's most hearty tropes. Where the book floundered a bit for me was in its pacing. After a stellar, raucous opening, full of action and gorgeous magic, it pulls back, leaving the core plot for the second half. There are also a few early info-dumps that I found a little unwieldy, especially with the grand speeches and moments of awkward exposition, but that settles down before the end. Damn, but this was a lot of fun. It feels a bit lighter than I expected, and too often holds back from going all-out with the action and the drama, but has that episodic feel of an old adventure serial. As Brad himself says in the introduction, he has "written a story series to optimize both scope and action." 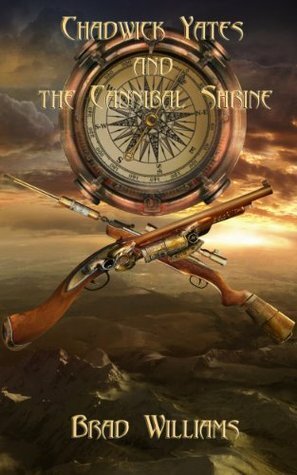 This is a fast paced, rollicking read, and even if that comes at the expense of some character building at times, there's so much imagination you don't even notice. Ironically, for such a fun bit of pulp, the story does get rather heavy-handed at times. It's not enough to derail the story, and it does serve to establish Yates' character, but it sometimes comes across as a bit too much. 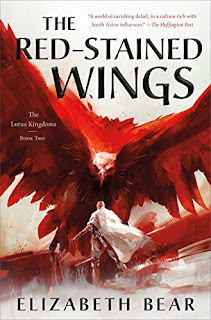 The world-building is solid, the narrative itself makes for a very easy, free-flowing read, and the characters are perfect for the tale - noble, heroic, and larger-than-life, but neither perfect nor infallible. I had a hard time getting into this, and an even harder time sticking with it. 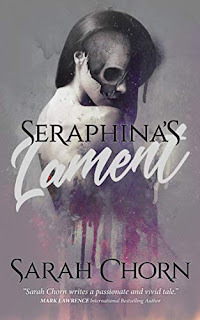 It felt rough and disjointed, almost like a first or second draft that needs an editor's touch to help smooth the flow and introduce some narrative bridges. It all just felt very abrupt, even confusing at times, and there wasn't enough character development early on to make me care enough about them to continue on. I have to give Swanson full credit for the ambitious nature of his project. This novel was originally blogged in a 'live' format, as if the narrator were capturing his thoughts and experiences in a journal each night. It really sells that feel of a classic travelogue - which is either a good thing or a bad thing, depending on your tastes. Personally, that format just doesn't work. I like to get immersed in a story, to get lost in the narrative, and being bombarded by a series of single-page journal entries tends to wear on my patience. I liked what was there, and I can't deny the creative effort or the quality of writing behind it, but the format was a deal-breaker. CONCLUSION: I'm torn on this one. I enjoyed both completed reads from this batch, and would recommend them without reservation. Ultimately, however, I think I have to go with the depth of substance over the flash of style and name Stormwalkers my winner this time out. There's a lot going on there, and a lot to draw in a new reader. Even if one or two aspects don't work, there are more than enough that do to balance it out and make for a compelling read. I've not heard of any of them. Thanks for plowing through the slush to find the good ones. 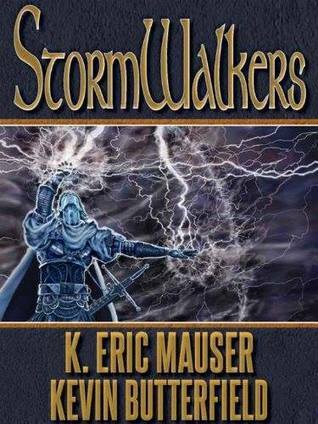 I will check out StormWalkers. Big thumbs up! I'm eagerly waiting to see who the winners are of this whole thing. Just checked out the synopsis for StormWalkers - it's something that I could see myself reading. 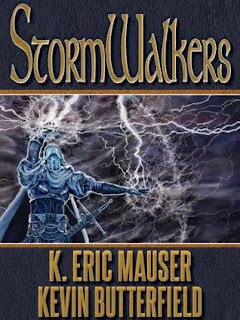 I agree with the reviewer's assessment that "Stormwalkers" is a story deserving of future volumes. Let's hope that Messrs Butterfield & Mauser won't wait too long to produce a sequel at least for all the new fans of Konal & company! I've read something called Indepedant Action by James Latimer I wonder if it's the same one? I enjoyed his writing style. If this is just one persons opinion on all of these books it seems a little unfair and random-pure luck whether the reader likes your book and chooses it to go through!! By not finishing all of them you aren't comparing like for like either. You're right, it makes it tough to get through that first round, but we each had 26 titles to evaluate for the first round and only 1 winner to recommend. The finalists all had the advantage of 10 reads/reviews, though, with a combined score determining the overall winner.